Very often, people like to choose Pri Žabarju for celebrating an important anniversary, birthday or remarkable achievements. The restaurant has frequently hosted silver-haired graduates, spry couples celebrating their golden wedding anniversaries, fresh PhD graduates or enthusiastic 50-year olds. Sometimes we serve grieving mourners too. We always know how to make our guests feel comfortable while enjoying good food and drinks. The restaurant is also suitable for small wedding receptions and wedding anniversaries that follow. 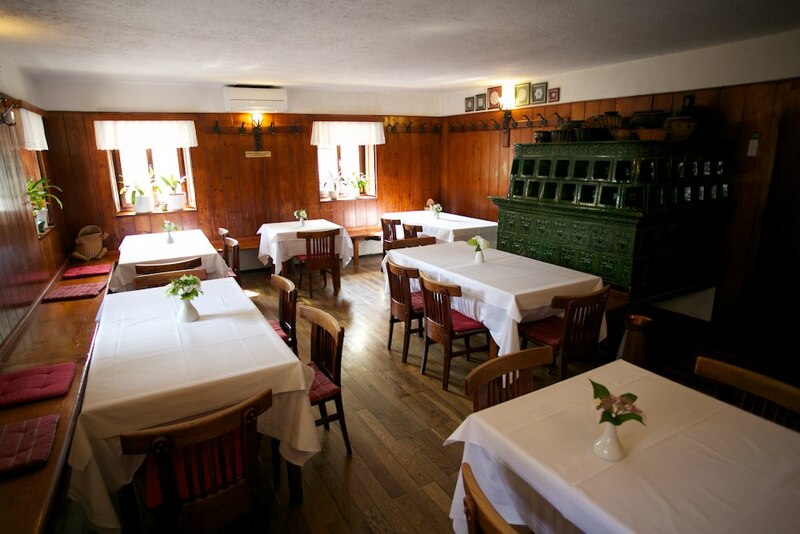 The restaurant can host up to 40 people in one room. For booking, you can make a reservation by telephone or you can come visit us in person. We will plan an arrangement most suitable for your company. We advise you to make the reservations at least two days prior to the event.